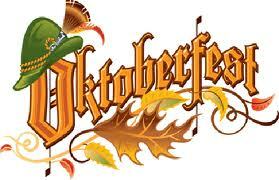 It’s time for Oktoberfest again! Join us on Thursday, October 25th for brats, pork loin, beer, sauerkraut, red cabbage and apples, salad, rolls, and dessert. Hors d’oeuvres at 6:00 pm in the Dining Hall followed by dinner at 6:30 pm. Then a short talk with Mike Pogson about the downtown walking tours. $10.00 per person. Please call Fred or Cathy at 685-1934 by Monday, October 22nd to make a reservation.